The hottest investment in the world today doesn’t exist. It’s bitcoin. A bitcoin is basically an encryption key, kept in the ledger of a trader. Ownership of the encryption key entitles you to trade it for goods, services, or other types of cryptocurrency, with names like Ethereum, Ripple and Litecoin. There are, in fact, 1300-plus different cryptocurrencies being actively traded, with even more in circulation. And creating a new one is as simple as launching a program. Some cryptocurrencies aim to serve specific industries, like foreign trade or gaming. Others claim technical advantages over bitcoin, launched in 2009 and still the market leader with a valuation on May 23 of almost $37 billion. Prices for cryptocurrencies can vary widely, depending on who is taking them, who is offering them, their technology marketplaces and market forces. It’s the Wild West out there, but I want to focus on bitcoin itself. Specifically, should you buy some right now, or should you not? It’s Hot: Bitcoin is making some serious coin right now for serious traders. Over the past few weeks, speculators have driven the price to $2,200. If you had bought just $100 worth in May 2010, when someone bought two pizzas for 10,000 bitcoin, you’d have coin worth $72.9 million today. The rush to bitcoin has been recent; prices were below $800 as recently as January. Since then, bitcoin seems to have replaced gold as the “safe-haven” default. Gold today is priced just where it was a year ago, an early-year rally to $1,300 per ounce having fizzled in April. That is just when the present rally started to accelerate. Prices have doubled since the April 1 fix. It’s Liquid: Bitcoin is the most liquid of all the cryptocurrencies. Japan’s decision to start recognizing it as legal tender in April seems to have led directly to the current run-up. Markets in Japan and South Korea recently priced it at $2,350 per coin. This seems to be fueling a rally in other cryptocurrencies. Markets like Bitfinex, Bitstamp and BTC-e make it easy to set up an account and trade bitcoin, but prices vary widely. There are also bitcoin markets around the world — it’s a global currency after all — and their prices can vary wildly, too. The World Is Going to Hell: The best reason for buying bitcoin has always been as a hedge against market uncertainty. Advocates love stories about a coming market crash, the inherent corruption of the Federal Reserve and the ability of banks around the world to create “fiat money,” backed only by their local economies. There are places where this fear is real, and where cryptocurrencies — whose quantity is fixed by math — can be a great hedge. Countries like Zimbabwe, where the government has destroyed the local currency, now have active bitcoin markets. The activity of Japan’s market stems, in part, from distrust of the country’s policy of monetary easing, which has seen the value of the yen from 75 to the dollar five years ago to 111 today. It’s Not Real: Bitcoin is a mathematical algorithm. It’s not something you can hold in your hand. Its value is based entirely on your trust in the math, the exchange and the willingness of the market to accept it. Bitcoin’s original advantage was its anonymity. But this has been broken. The vice chairman of the Bitcoin Foundation itself was convicted of money laundering in 2015, and law enforcement insists that bitcoin owners can indeed be traced. Bitcoin advocates, in short, insist that governments are untrustworthy as arbiters of value. So we’re supposed to trust them? It’s Unstable: What rises quickly can also fall quickly. When the government rejected an effort to create a bitcoin-based exchange-traded fund in March, the price of bitcoin on the Bitfinex market plunged by almost one-third in just more than a week. There was a quick plunge of $200 in January, and another of $80 last June, when bitcoins traded in the $700 range. This makes bitcoin unlike real currencies, which normally move in small ranges. Bitcoin is great as a medium of exchange in Venezuela, where the currency is worthless. But its value as a medium of daily exchange is more questionable in the U.S., where it is an investment and a hedge. Other Coin Is Better: While bitcoin’s price has been rising, its share of the total cryptocurrency market has been falling. While it represented 80% of cryptocurrency trading a year ago, its share is now less than 50% as the value of Ethereum, Litecoin, Ripple and others rise. Even Dogecoin, originally created as a joke in 2013 and using the face of an internet meme in its logo, has skyrocketed. A $20 million market in February is now a $200 million market (although it’s down from $400 million in May), and other cryptocurrencies are seeing similar gains. Complain all you want about the ease with which the Federal Reserve creates dollars. You can create your own cryptocurrency, today, using the PC in front of you, which becomes real as soon as someone is willing to create, or mine, and trade the resulting encryption keys. So, bitcoin is hot, it’s a hedge and it’s more than holding its value. But it’s not real, its value can fall as fast as it rises, and in the world of cryptocurrency, anyone can be the Federal Reserve. Dana Blankenhorn is a financial and technology journalist. He is the author of the political polemic Saving Trumpistan, Restoring Democracy, available now at the Amazon Kindle store. Write him at [email protected] or follow him on Twitter at @danablankenhorn. As of this writing, he did not hold a position in any of the aforementioned securities. 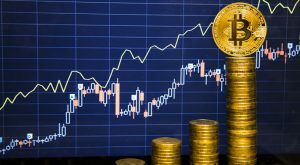 Article printed from InvestorPlace Media, https://investorplace.com/2017/11/should-you-buy-bitcoin-3-pros-3-cons/.